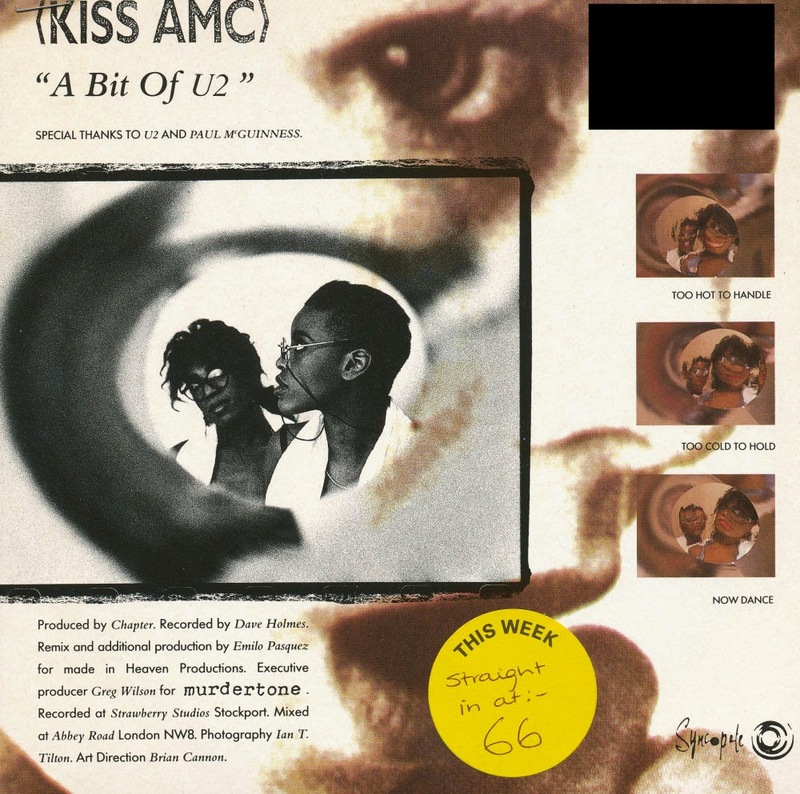 Released in 1989, 'A bit of U2' is the debut single by Kiss AMC, featuring a sample of U2's 'New Year's Day'. This single was quite controversial because the title actually mentioned U2, something the band wasn't too happy about. Later copies would cut the word from the title, naming it 'A bit of...' instead. This is why I wanted to buy this copy, because it is a rarity in a way. And you know how much I like rarities. Kiss AMC consisted of sisters Anne and Marie Copeland. They took a chance on using the sample but still got permission from the band to use it. Further singles by the duo were unsuccessful. Which really isn't much of a surprise if you listen to the B-side of this single.